I wanted to make something. So I looked through my bin o’ stuff. The truly wonderful thing about having such a large selection of craft stuff is that things I usually gloss over will occasionally jump out at me. 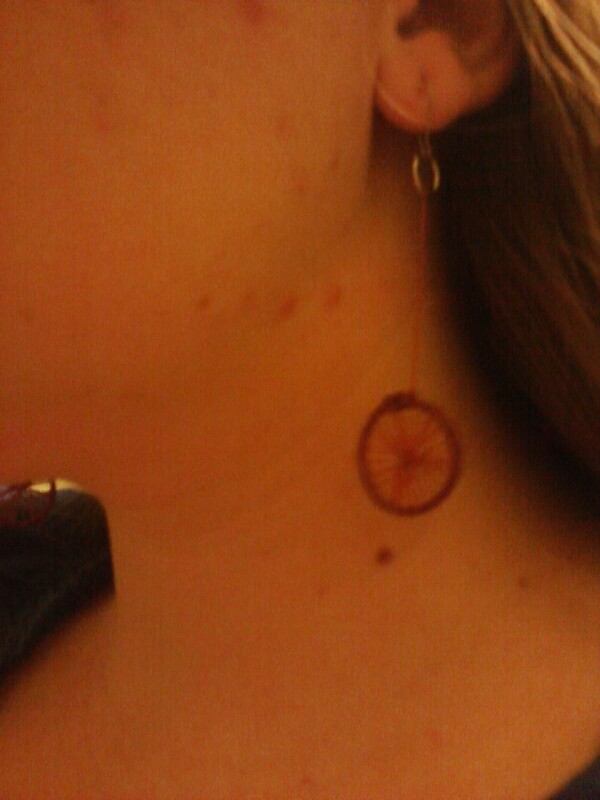 I saw wire rings and started thinking about dreamcatchers. Then I saw my beading wire, and things coalesced. I handwrapped the beading wire around the rings (which, BTW, took forever and destroyed my nails). Things hit a snag when I realized my thinnest wire was too thick for the project. Then I remembered that I had thread. This was the result. You will not believe how long these took. How does two and a half hours sound? That’s how long the first one took. The second only took an hour and a half. Figuring out mistakes FTW! 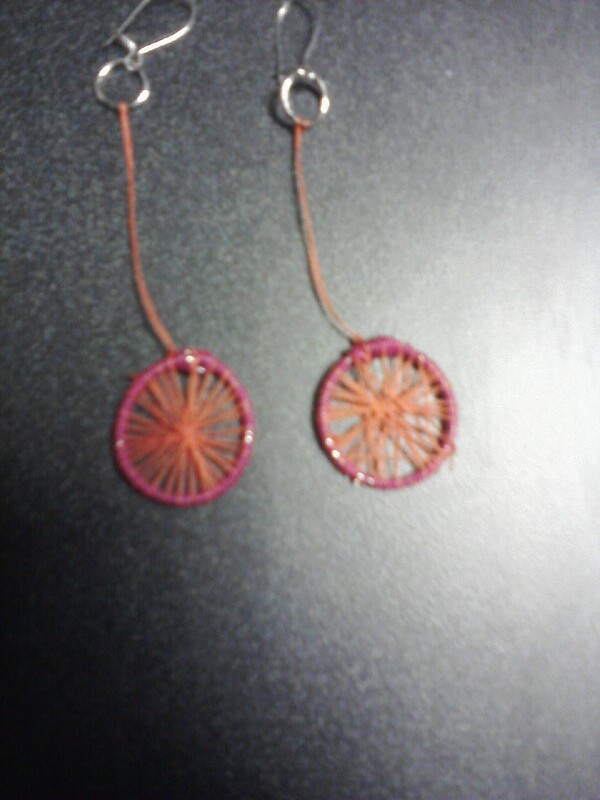 Four hours on a single pair of earrings for the fail. Then the strings broke, so I had to replace them. Then they were different lengths. 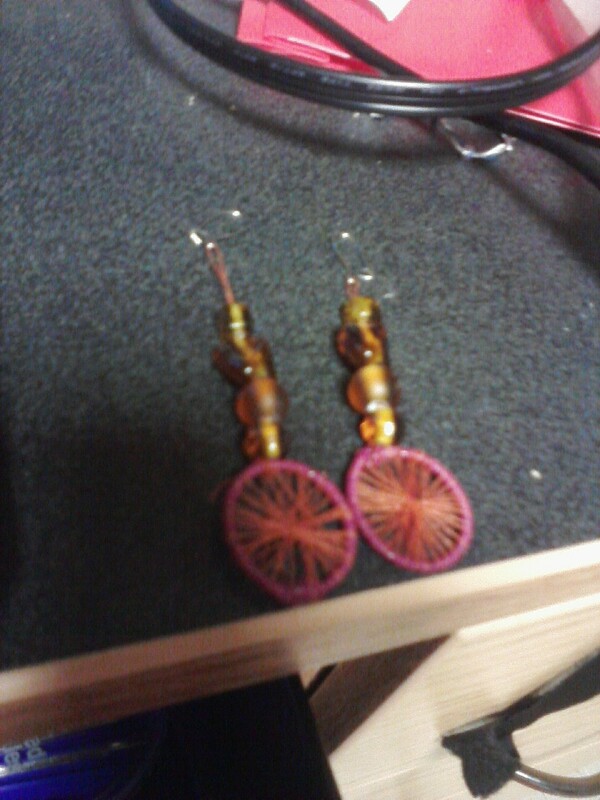 Then I decided to bead them. BUT: while I was making them, I watched the first three episodes of “Grimm” and the pilot of “Once Upon a Time”. So that’s something, anyway. Now I have to go do homework. This entry was posted in Accessories, Jewelry and tagged beads, dreamcatcher, earrings, jewelry, thread, wire, wire wrapping. Bookmark the permalink.